To us the customer is always on the first place and we strive to deliver a service that will satisfy even the most demanding requirements. When you call us to clean the windows at home, you can expect only the best quality results at affordable prices for all of London. – We have flexible working hours even during the weekends, public holidays and Bank Holidays. The life in the big city has its advantages and disadvantages. Along with the diverse and interesting places for fun, come the dust and the huge amount of dirt and that accumulates on windows and window frames. Anyone who has tried to wash oneself windows is aware that satisfactory results are being achieved difficulty and not for a long time. Then why don’t you leave this annoying and labor-intensive duty to VIP CLEANING LONDON specialists? Just call us and our professional Windows Cleaner will do all this to make your windows crystal clear from top to bottom, and when we clean outdoors, you don’t have to be present. The service is suitable for homes and offices, for many types of windows and glass constructions, including single and double windows, roof windows, window frames, a conservatory or a winter garden. If you want to clean the sills and panels, please consult while booking. 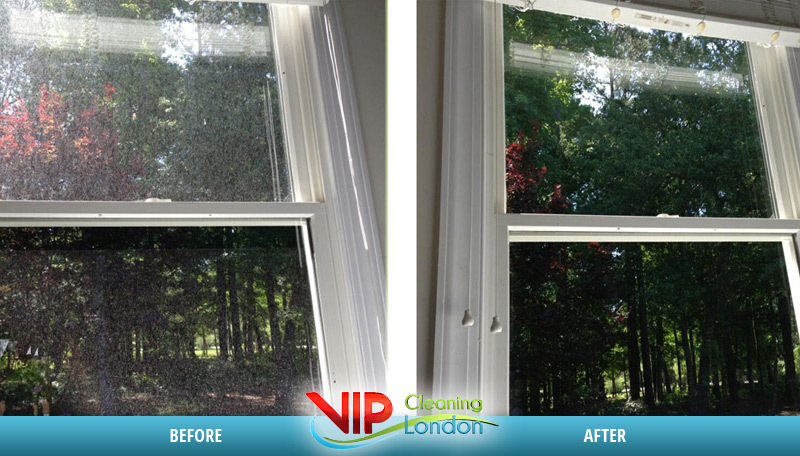 We use Professional Windows Cleaning System for perfect results! Windows Cleaning is done by professional and qualified cleaning teams to achieve the best possible result. 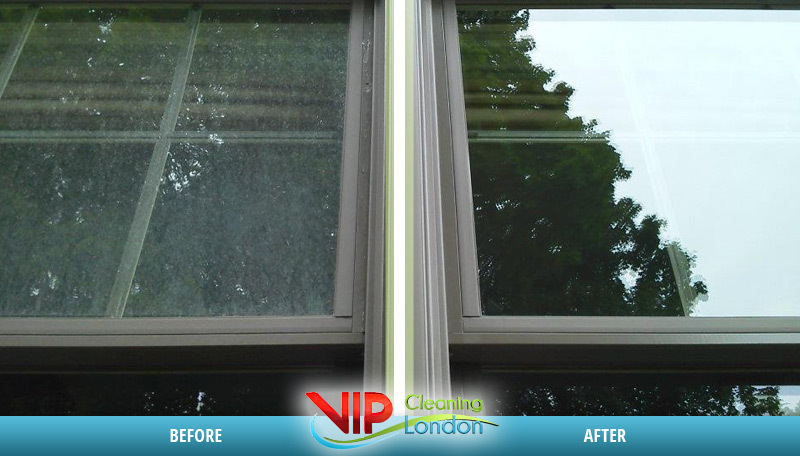 For the perfect cleaning for shining windows and window frames we from VIP CLEANING LONDON use a professionally equipped machine and specially distilled water. As our equipment is bulky (compressors, pressure systems, extensions, tanks with detergents and distilled water, cables, spraying pumps and other auxiliaries) we have a minibus for their transport. Therefore, our requirement is you to provide us with a parking space no more than 25-30 meters from the cleaned object. How long will the Windows Cleaning service take? -This depends on the number and size of windows and how dirty are they. Which floor outside can we clean your windows? -For now, we can do it only to the 5th floor. Due to the specificity of each cleaning area, it is important for us to learn more about the specific features of the site – quadrature, surface, height, degree of dirt, and so on. If necessary, our specialist can check in advance. This will allow us to give accurate information and we will calculate the best price. Ask for our services by sending your inquiry online or contacting us on the phones listed. – For customers outside of London (up to 10 miles), there is an extra charge of £20 for transport cost. – We refuse to clean the windows when you haven’t provided a parking space and / or the windows are above the 5th floor. If you haven’t informed us in advance, you must pay us £30. Please, when you contact our consultants, give us maximum information in order we to be useful and to give you 100% perfect result of our service. • Cash payment – on the same day after cleaning or pre-payment or at an office of the company on request.